Estate Agents are fiduciaries – in other words, they must put the client’s interests above everything else, make the best possible recommendations and avoid making an expedient or convenient choice when a better alternative may exist and should be evaluated for their clients. Even the most experienced property estate agents don’t have the home inspector training, expertise and experience of a property inspector. They realise thorough home inspections reduce their liability and prevent ‘comebacks’ from unsatisfied property buyers. 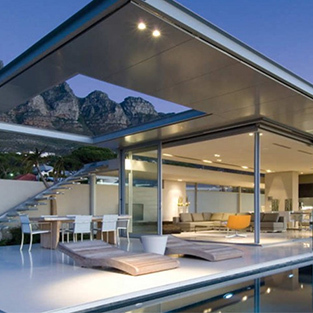 The South African property market is following international trends by increasingly adopting home inspections as a standard when purchasing a property. Property inspections can vary and differ dramatically from home inspector to home inspector. It’s advisable to receive a complete property inspection report rather than a home inspection checklist which is unlikely to disclose the true state of the property’s construction and its components, or the types of defects which are serious or whether their home inspector checked all the essentials. A common misconception is that a property inspection, before a sale takes place, will slow down or even lose a potential sale. In actual fact, according to a survey of home buyers, a property inspection report gives a buyer greater peace of mind, credibility with the estate agent and eliminates all doubts when making their decision to purchase. Estate Agents need to be aware that South Africa’s new Consumer Protection Act became effective from 1 April 2011. Section 55 of this Act suggests that Estate Agents will be held responsible for ensuring that home buyers are fully informed regarding the condition of the property. The “As Is” or “Voetstoots”clause in an Offer to Purchase will no longer apply, therefore Estate Agents will not be protected from the risks of non-disclosure. In effect, Estate Agents will need to provide full disclosure up-front to potential home buyers. For most people, buying property is normally the biggest purchase they will make in their lives, so they will appreciate it when an estate agent recommends a complete property inspection before the sale takes place. It shows honesty, trust and integrity on the part of the estate agent for home buyers and sellers. Please note: Inspect-A-Home does not give appraisals or evaluations, nor advise the estate agent’s client, nor comment on the purchase price. Certainly, never pass an opinion about anything to do with the transaction. The price of a property is never considered for a property inspection, as the home inspection cost is a flat fee and not based on the value of a property. Reputable estate agents are recommending Inspect-A-Home’s service to their clients to validate the sale. Ultimately, both the estate agent and the home inspector want the client to be able to make an informed decision, quickly and easily. A property inspection takes 2-3 hours on a standard 3 bedroom home and the home inspection report is produced within 72 hours. Estate agents, banks, property managers and other property professionals, add value and build trust with their clients by recommending or subsidising a home inspection.